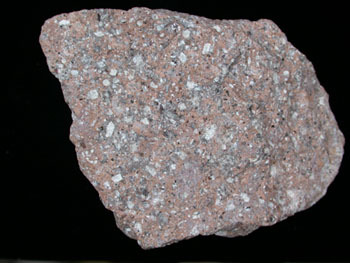 Many rocks with an overall fine-grained texture display scattered minerals that are more than 1 mm across. 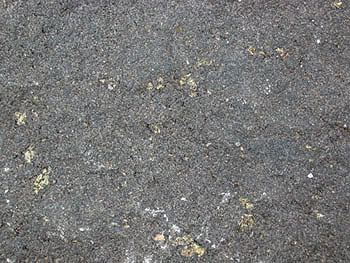 This porphyritic texture indicates that the magma sat and cooled a bit below the Earth's surface, thus giving time for the large crystals to grow, before erupting onto the surface and cooling very quickly. 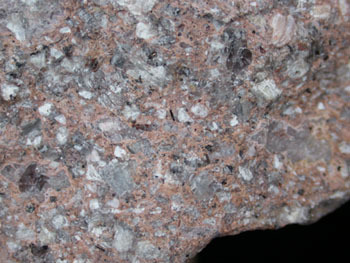 The large crystals are termed phenocrysts while the aphanitic rest of rock is called the groundmass. The rocks below cover mafic, intermediate, and felsic compositions (top to bottom). 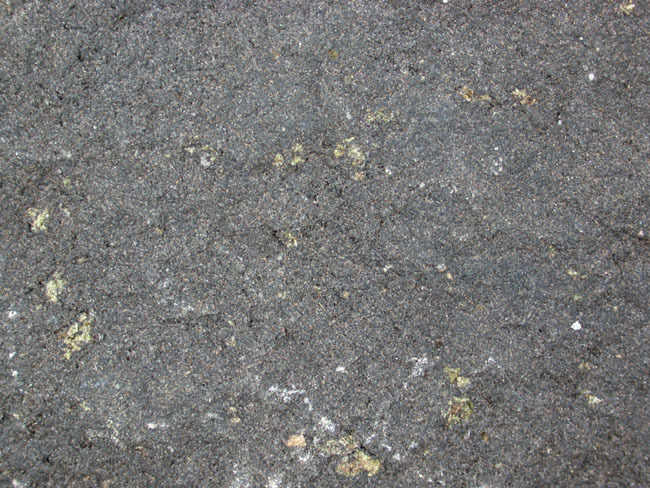 This is a fine-grained basalt with olivine phenocrysts (pale green blobs). This is an andesite with amphibole (hornblende) phenocrysts. This is a porphyritic rhyolite. The photo below is a close up. 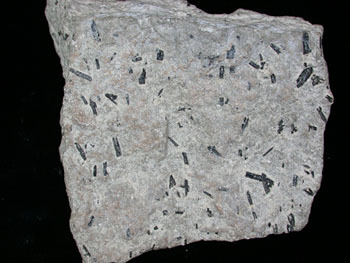 The blocky gray and white crystals are feldspar (one K-spar, one plag), and the dark gray, almost translucent, rounded crystals are quartz (there are two large ones, one just to the right of this text).